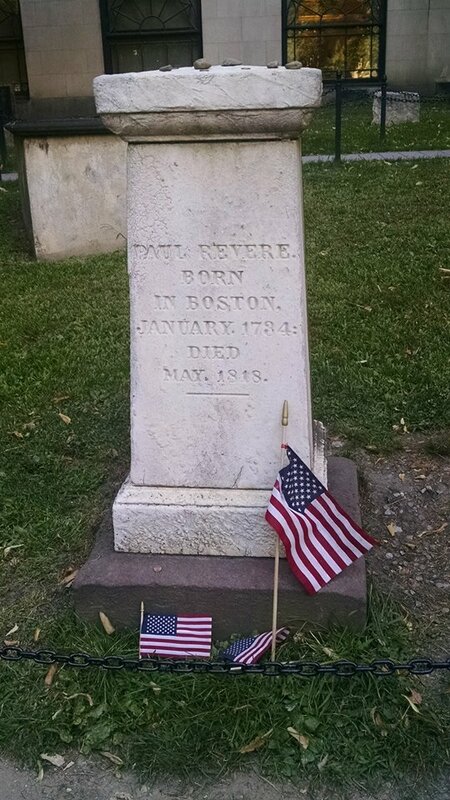 A historic Boston cemetery contains the seeds of much of our nation’s legacy. A brief pictorial tour today, from Boston, Mass. 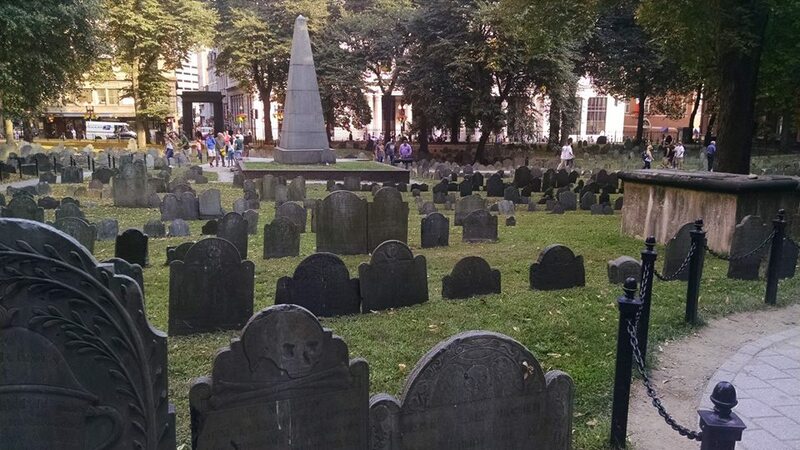 No trip to a historic city is complete without a stop in a graveyard or two. 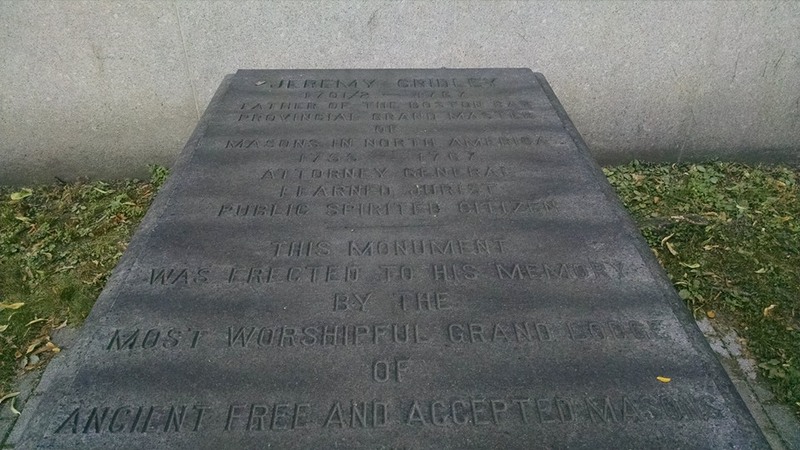 Many of you may have dropped into the cemeteries near the city’s North End. 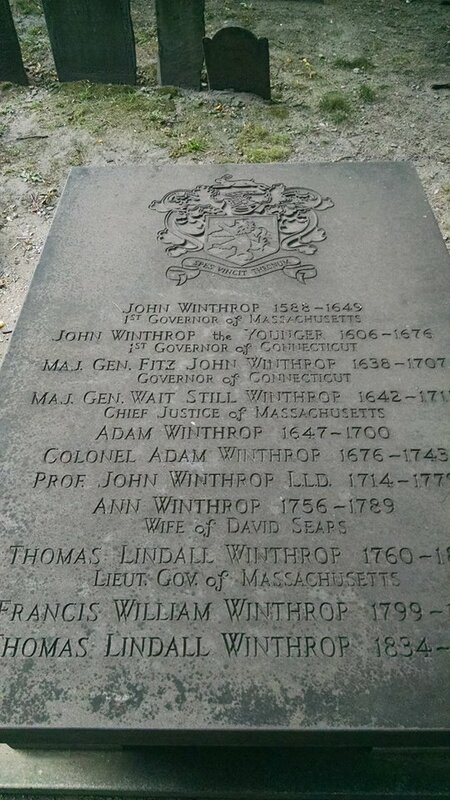 A glance at the inscriptions yields a history lesson, and quite a few regarding prominent attorneys. Some more photos are below. Have a wonderful—and epitaph-free—weekend. At least one bar association offers a shield for a logo. This week, my family and I have the great good pleasure of being in Boston, Mass., as we deliver a child to college life. Amidst the inevitable lobster dinner and a stroll on the Freedom Trail, I decided to look into a legal aspect to Beantown. That’s a tradition I started years ago, always intrigued by the way other legal communities and associations do things. And that’s what takes me to the website of the Boston Bar Association. First, it’s one of the rare bar sites to go for a dark look. Perhaps seeking to avoid the shady reputation that attorneys may have, most legal organizations connote sweetness and bright-white light. The BBA site is steadfastly dark and yet still inviting—not unlike that stereotypical lawyer’s study we never see anymore. Second, it has a shield. I know, all bars have a logo. But the Boston bar dispenses with a round image and opts for something that reminds us of, I don’t know, the Battle of Hastings. Very regal and heraldic. Content is king, though, and that’s where I admit they have it. I’ll point just to one element I found worthy of emulation: their stable of in-house blogs. Yes, here in Arizona, we have a Blog Network that features the work of scores of lawyers. But the only blog I know of emanating from within the Bar’s walls itself is mine—this one. 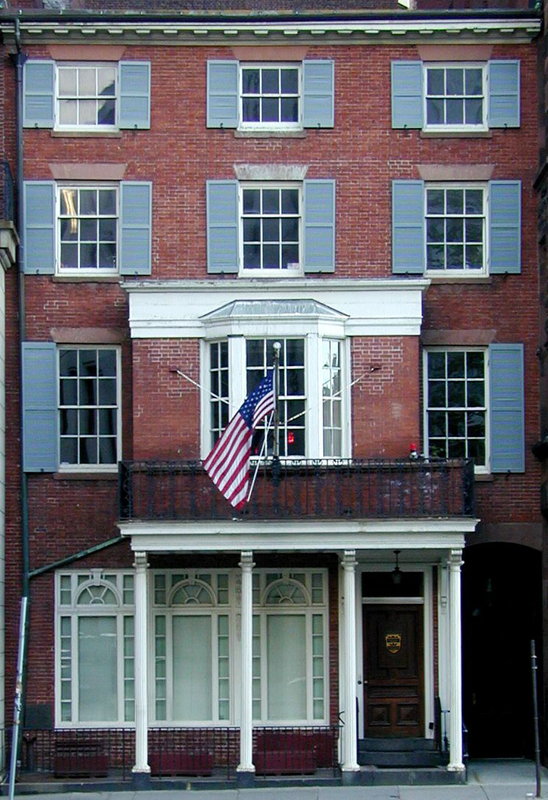 Beautiful façade of the Boston Bar Association: Pass the chowder. Emerging from the Revolutionary-era brick building of the BBA, though, are a veritable army of well-done blogs. You can see the entire list here. I’ll call you attention to one in particular today. The “Issue Spot” blog (their public policy blog) asks and examines a compelling question: Are prosecutors and public defenders paid enough? As I adjust my lobster bib, I’ll keep my eyes peeled for other praiseworthy Boston legal connections. Can you recommend one? Write to me at arizona.attorney@azbar.org. 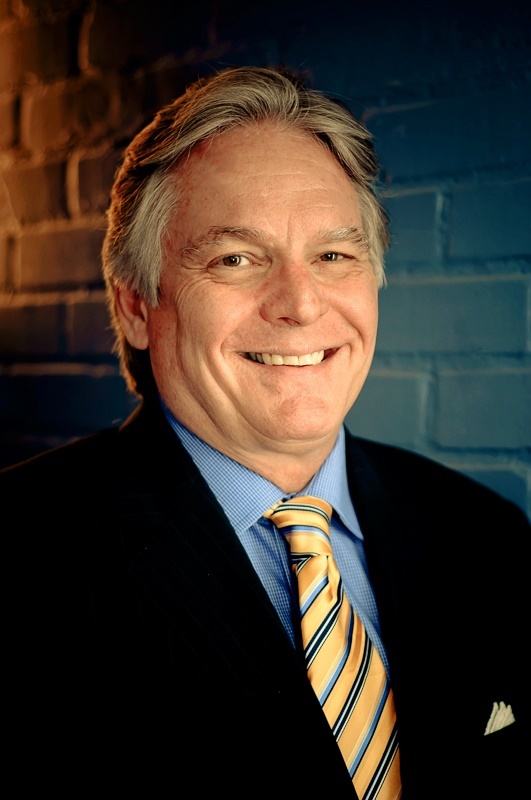 Cecil Ash is one of the former legislators who is now an Arizona Justice of the Peace. Do former lawmakers make good jurists? Should so many of them be justices of the peace? A recent Arizona Republic article covered the intriguing issue of ex-legislators finding a “chapter 2” in the elected position of JP. Given the notoriously low pay of state lawmakers, the job of elected JP is a well-remunerated one. No surprise: When it came time to write a headline, newspaper copyeditors simply couldn’t resist the phrase “cashing in” as a descriptor: “Ex-legislators cash in as justices of the peace” (the print newspaper title—“Justices Served”—struck the same note). Fair enough, I suppose. But the article itself offered a far more deep-thinking analysis of what the job entails and what kind of person fares best in the fast-paced and busy role. I was pleased to see that the reporter spoke with Cecil Ash, one of the former lawmakers who now are on the JP bench. An anomaly, Ash is an attorney, rare in our Legislature and on that bench. And when he was in the Lege, he was one of the strongest voices advocating for a change to Arizona’s prison sentencing regime. You can read the complete Republic story here. 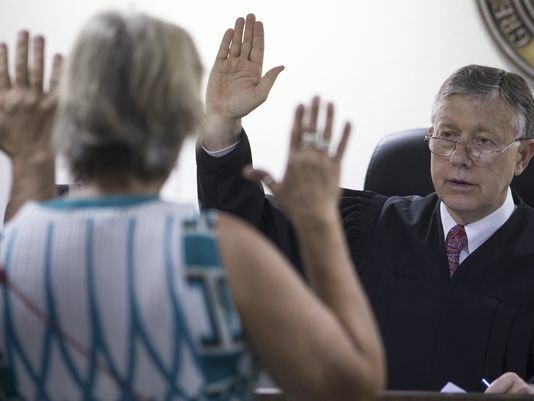 Access to justice saw another positive step in Arizona this month, as Chef Justice Bales named the membership of the newly formed commission charged with examining the issue. Here is the Court’s announcement of the new members. As mentioned before, the group will be led by its chair appellate court Judge Larry Winthrop. 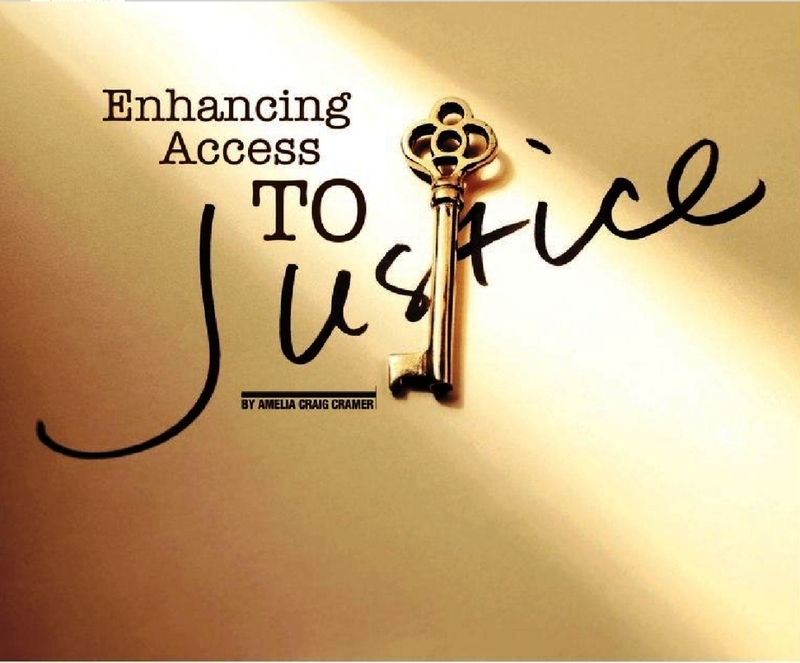 Assisting self-represented litigants and revising court rules and practices to facilitate access and the fair processing of family court and eviction cases. Encouraging lawyers and law firms to provide pro bono services or financial support for civil legal aid for those who cannot afford counsel. Informing lawyers and other citizens about the availability of a state income tax credit for contributions to agencies that serve the working poor, including legal services agencies in Arizona. In many family and justice court cases, one or more of the parties does not have a lawyer. Self-representation presents a tremendous challenge not only to those litigants, but also to judges and other court personnel. Judge Winthrop also hopes that the Commission can further engage the business community concerning these issues. Judge Winthrop said that people with legal issues are sometimes overwhelmed, and often don’t know where to go for legal help. Raising awareness of civil legal service options and encouraging greater community involvement will be a goal of the Commission. Taking advantage of advances in technology, retooling existing court-based legal self-help centers and the idea of expanding such services into a public library or community college setting will be possible approaches considered by the Commission. 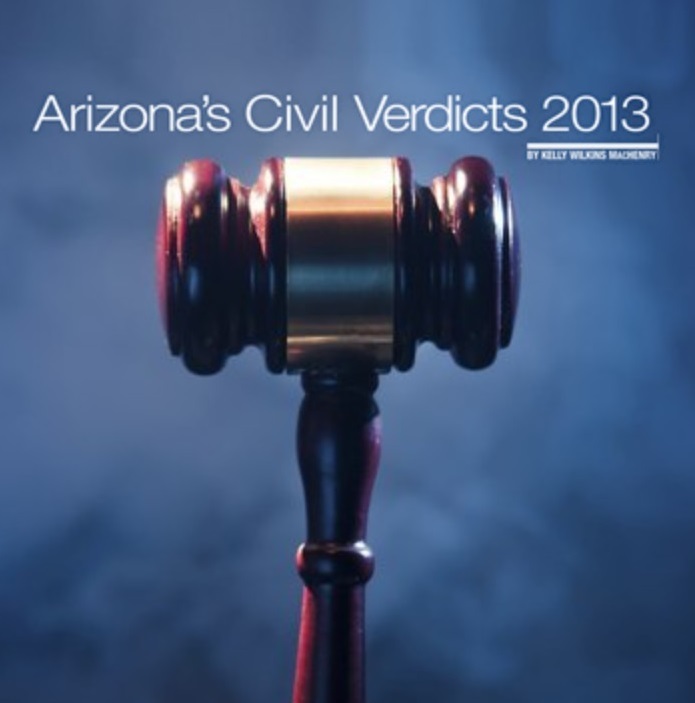 Are you curious to hear the stories behind the top Arizona civil verdicts of the past year? At Arizona Attorney Magazine, we covered the topic in our June cover story written, as always, by attorney Kelly MacHenry. But as they say, there’s always more to the story. This Wednesday, August 27, you can hear Kelly explain what lay behind those significant jury verdicts; she’ll also cover punitive awards, defense verdicts and trends. I have seen her presentation over the years, and it offers helpful insight into what the jurors (and the lawyers) were thinking. The event will be at The University Club, 39 E. Monte Vista Road, Phoenix, AZ 85004. The Arizona Women Lawyers Association event is $25 for members and $35 for nonmembers. This morning, if my plans don’t go awry, I’ll be attending the kickoff meeting of the new Arizona Supreme Court task force that will assess the management and governance of the State Bar of Arizona. I’ll report back on how it goes and what comes next. Until then, you may want to skim some material about proposed changes to the Canadian legal system. True, the northerly report, if adopted, would make significant changes far beyond one bar association. But I was impressed by the Canadian task force’s willingness to look at all elements of the legal profession with a new eye. I’m suspecting that the Arizona Supreme Court seeks a similarly clear-eyed look. The entire report, titled “Transforming the Delivery of Legal Services in Canada,” is here. And I agree: 106 pages is tough sledding on a Friday. But that’s why you should start with a Jordan Furlong column. I have mentioned Jordan Furlong before (here and here). And I think his name is well associated with any assessment of what the future of law holds. His concise and point-by-point analysis deconstructs the Canadian Bar Association report, which he admits he likes quite a bit. And, I’m pretty sure, his column and the related report are solid guideposts for what we may see coming to these United States in the not-so-distant future. Next Monday, August 25, an “industry mixer” with an entertainment attorney and a film industry pro may offer some unique conversations—and opportunities. Entertainment attorney Stephen Wade Nebgen will be available that evening. Perhaps you or a client have a project that would benefit from some thoughtful discussion. 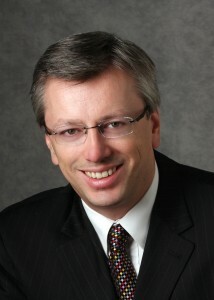 I met Stephen years ago (at an arts event, o‘ course), and I would agree with the event notice when it says, “This will be a great opportunity to have a valley-based contact to draw upon with any legal issue related to the film industry.” He will be there and answering questions about entertainment law. The no-host happy hour is offered by Stephen and by Heather Holmberg, of The Film Capital. 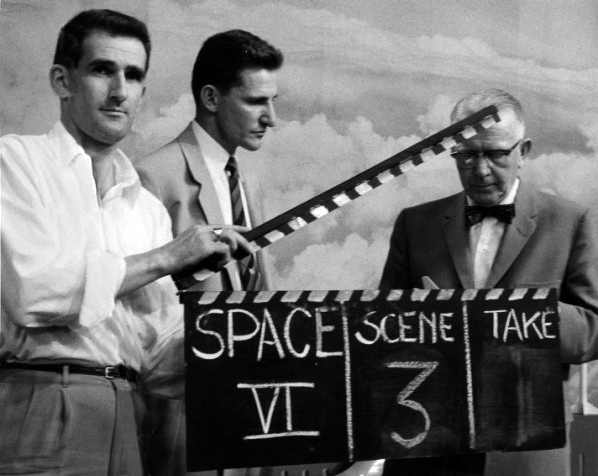 They each will be able to talk about the industry—and your project. TIME: 4:00 p.m. to 7:00 p.m.
Decades ago, when I toiled on a law review focused on entertainment law, I thought I spied a future in the practice area. Alas, the Directors Guild (and other potential employers) passed on my resume treatment. But there’s always chapter 2!